Shipping within continental U.S. only. Shipping costs are included. Cannot be combined with any other offers or promotions. Cables do not work with iPad air or iPad mini. Please allow 7-10 business days for delivery. Expires 12 months after purchase. See the terms that apply to all deals. 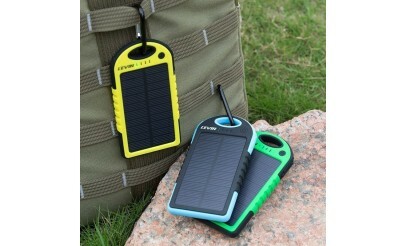 Includes: solar panel charger, micro adapter cable, carabiner hook, duel USB port with emergency light torch. Input: DC 5V/0.5A. Output: DC 5V 0.4A. 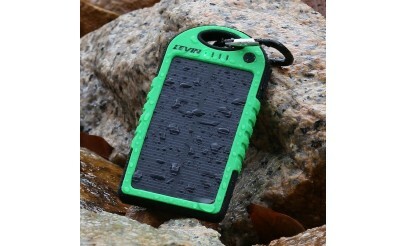 Battery cell: Li-Ion ICR18650*1 500mAh. Size: 142x75x13.9mm. Weight: 205g. Available in yellow, green, blue. 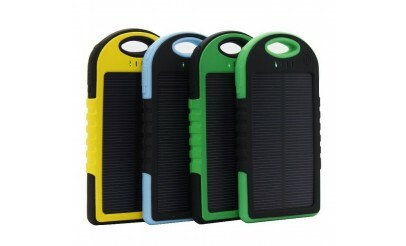 Go to www.mygo2shop.com to see more information about the product. Lily Rose Boutique features a variety of accessories on www.mygo2shop.com. If you have questions about a product or your order, email mygo2shop@gmail.com.